Functional food is currently one of the fast growing segments of the food industry. It contains both essential nutrients and health promoting non-nutrients. However, fish sauce and other fermented food products may not be considered functional food due to its high salt content. Fortunately, a project of the University of the Philippines (UP) Visayas made fish sauce derived from mussel, which is low-salt. Because of this, it can be a potential functional food and ingredient. The project is led by Ernestina M. Peralta of the UP Visayas Institute of Fish Processing Technology. It is funded by the Philippine Council for Agriculture, Aquatic and Natural Resources Research and Development of the Department of Science and Technology (DOST-PCAARRD). Perna viridis) is abundantly found in the country and is considered as an imporant farming commodity in many coastal areas. 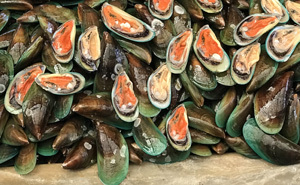 Mussel farming requires less input and capital compared with other aquaculture activities such as fish cages and pens, making it a preferred backyard activity of fisherfolk. Mussel can be an alternative raw material in producing self-fermented sauce. It is high in protein content, amino acids, zinc, calcium, and iron. Moreover, it is low in fat, cholesterol and calories. The low-salt fermented mussel sauce is a natural food ingredient and condiment and can improve protein digestibility as well as the flavor of the food. This technology can be viewed during the National Science and Technology Week (NSTW) 2018 at the World Trade Center, Pasay City on July 17-21, 2018. For more information on PCAARRD and NSTW 2018, visit PCAARRD's website at www.pcaarrd.dost.gov.ph.